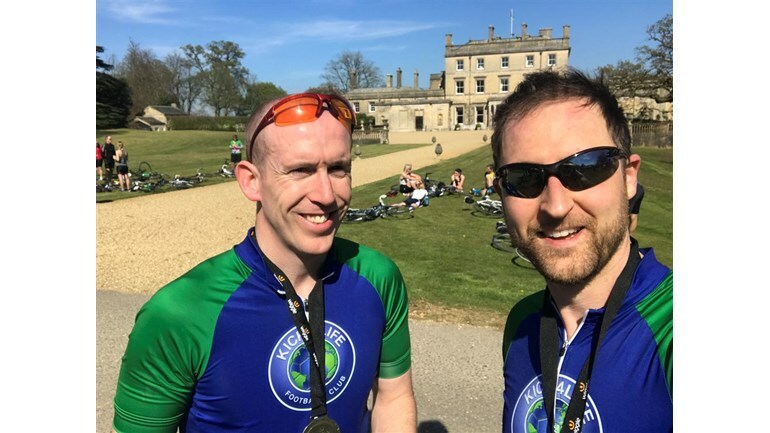 bandv’s very own MD is set to take part in Deloitte’s Ride Across Britain cycling challenge this September to raise crucial funds for the Kick4Life charity. On Saturday 9th September, Ross will join a team of dedicated fundraisers to take on the gruelling 9-day challenge that will involve cycling from Land’s End to John O’ Groats. Described as the most challenging yet memorable LEJOG experience available, the route covers a total distance of 969 miles over 9 days; setting off from the coves of Cornwall and finishing at the lochs and mountains of Scotland. All funds raised will be donated to charity and social enterprise Kick4Life. Kick4Life F.C is a unique football club based in Lesotho, Southern Africa and the only football club in the world that’s dedicated purely to bringing about social change in a local community. Kick4Life was originally set up in 2005, by Pete and Steve Fleming who dribbled a football 250 miles across Malawi to raise funds for an orphanage. 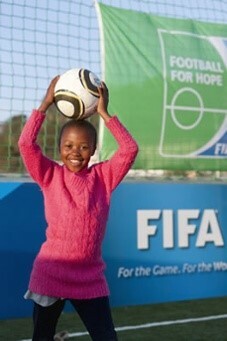 Their experience inspired them to found Kick4Life, a charity which uses football as a catalyst for bringing about a change in Lesotho - – a beautiful country with a rich history and culture that also has the world's second highest prevalence of HIV (23.2%) and more than 160,000 children who have been orphaned. Kick4Life’s mission is ‘to support vulnerable young people in Lesotho, through a wide range of social development activities focused on health, education and support towards sustainable livelihoods’. bandv have been involved with the charity since 2014 when we supported Kick4Life with the development of a new website Kick4Life.org. Kick4Life is a charity extremely close to Ross’s heart (having previously taken part in a football tour organised with Kick4Life and the Saint’s Foundation), where Ross got to travel to Lesotho and see for himself first-hand the great work that that charity undertakes and the difference it makes to communities. "I'm really looking forward to the challenge, although it is fair to say I am slightly apprehensive. It is such a great cause though and the work that Kick4Life do for vulnerable young people in Lesotho is incredible so I'm very proud to be able to support them." To help the fundraising total ‘kick-off’ to a flying start, Ross has organised a Charity Race Night for Saturday 2nd November at the Hedge End 2000 Centre, (St John’s Road, Southampton). Everyone is welcome to attend the free event (between 6:30-10pm) which will also include a prize raffle and some light refreshments (in exchange for a small donation to the charity). All proceeds raised from the prize raffle will be added to the fundraising pot to help raise crucial funds for the Kick4Life charity. There are some fantastic prizes to win; including 4x tickets to the filming of a Soccer AM Show, a One Night Deluxe Spa Break at Five Lakes, Essex, and 2x hospitality tickets for the Saints v Watford match at St Mary’s Stadium on 9th September. There will also be an auction held with a chance to bid for a signed 2017-18 Southampton FC shirt as well as several Powerboat Experiences (perfect for groups / corporate days out). Those who can’t make the Charity Racing Night, can still purchase Raffle Tickets before Saturday 2nd November by making a donation to Ross’s Just Giving Page and leaving a comment that this is for raffle tickets. Every penny raised will be used to make a real difference to the lives of children in Lesotho.